Remove and rinse dentures after eating.Run water over your dentures to remove food and other loose particles. Clean your mouth after removing your dentures.Use a soft toothbrush to clean your tongue, cheeks and mini implants, as well as your gums. Brush your dentures at least daily.Gently clean your Snap in Dentures daily by soaking and brushing with a non-abrasive denture cleanser to remove food, plaque and other deposits. Do not use denture cleansers inside your mouth! 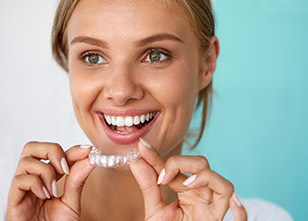 Schedule regular dental checkups.Your dentist will advise you about how often to visit to have your dentures examined and professionally cleaned. 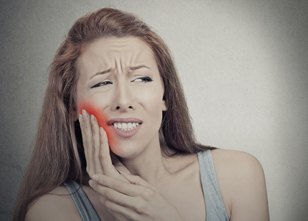 Your dentist can help ensure a proper fit to prevent any discomfort. Your dentist can also check the inside of your mouth to make sure it’s healthy. While you can eat again with Snap in Dentures, that doesn’t mean you should try to bite on very hard foods without consideration. Remember, natural teeth are one of the strongest materials of the human body and they can break, so make sure to not exaggerate when eating. 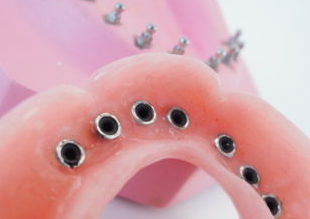 The doctor will check also for the strength of your bite as there are naturally people with a stronger bite than others and that could jeopardize the overall stability and structure your new adapted denture. If you have any trouble with your Snap in Denture, make sure to give us a call to help you out!